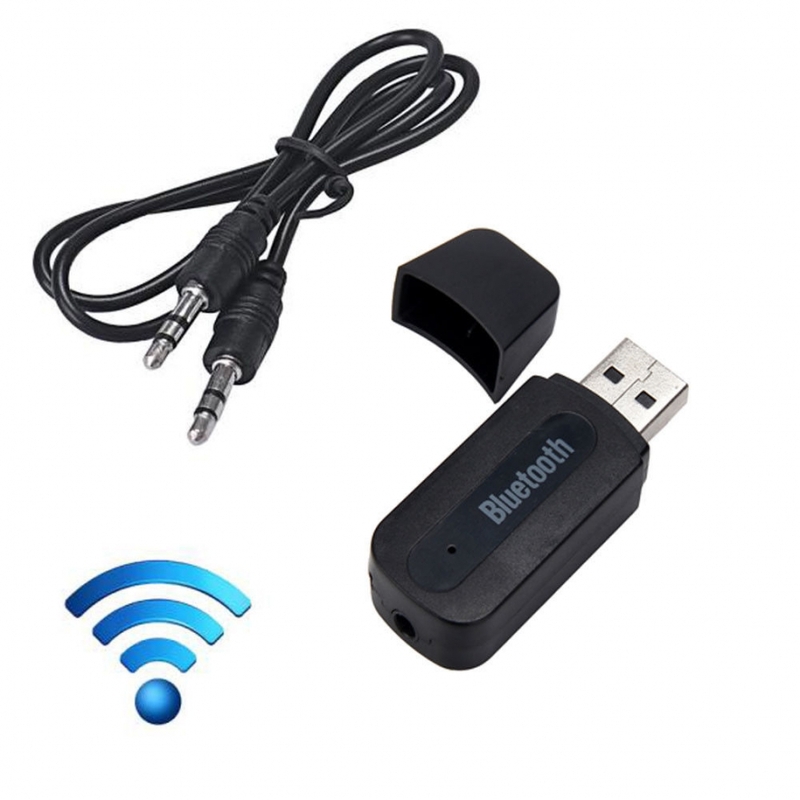 The Bluetooth Adapter is a fingernail-sized, this device can plugs into laptop or tablet USB port. 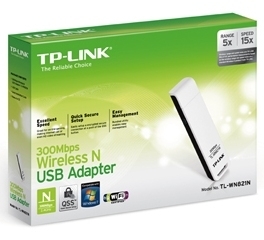 This Bluetooth Adapter uses Bluetooth standard v2.0 +EDR and USB 2.0 to deliver quicker connection times and up to three-times-faster data transfer speeds than v1.2 adapters. 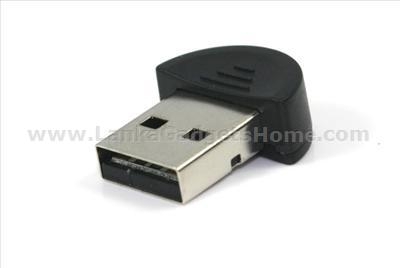 Amazing and compact design, tiny shape makes it so it can be left in your laptop even when not in use. 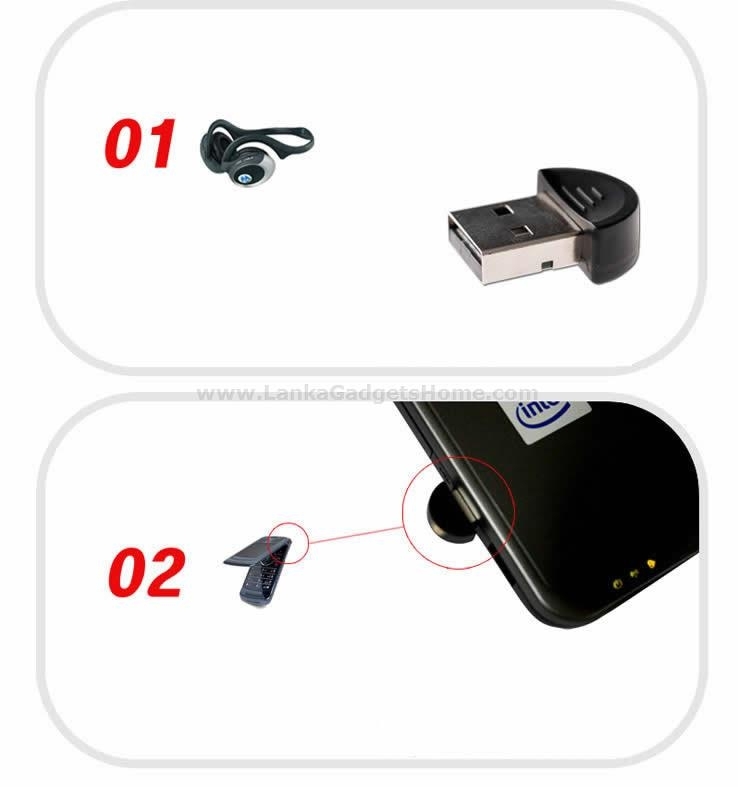 Bluetooth v2.0 and A2DP with up to a 10m range. 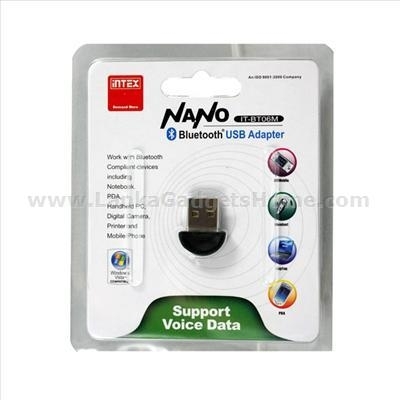 Simultaneously connects Bluetooth to Bluetooth devices such as mobile phones, PDA or PC, for data transfer, networking, dial-up and fax. 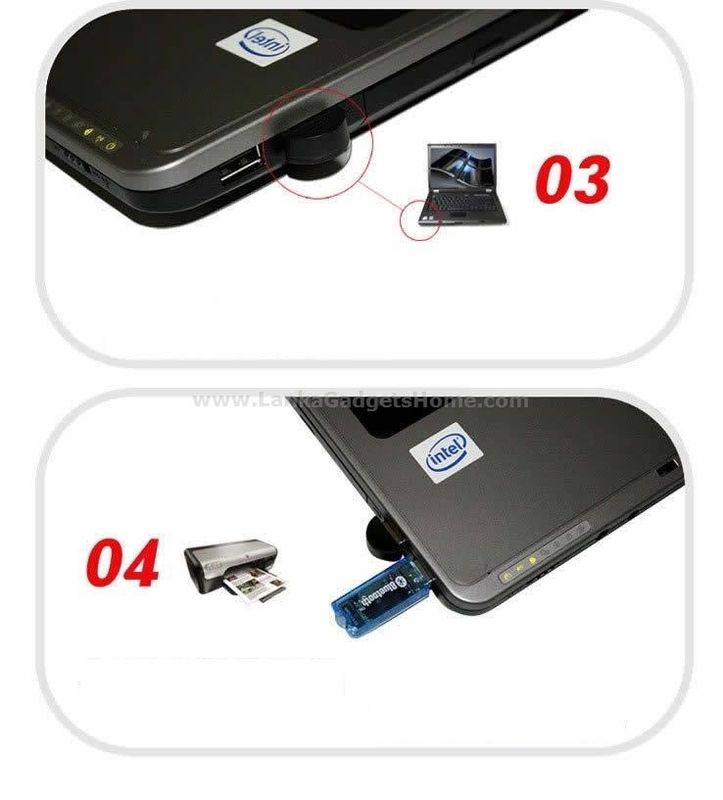 Turn any non-Bluetooth PC into a Bluetooth enabled PC. 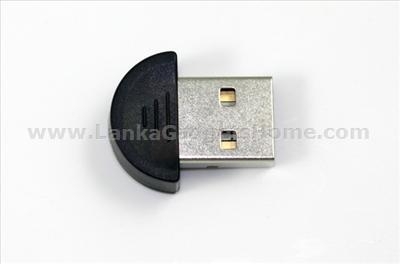 I/O Interface :USB version 2.0. Supports A2DP (Advance Audio Distribution Profile). 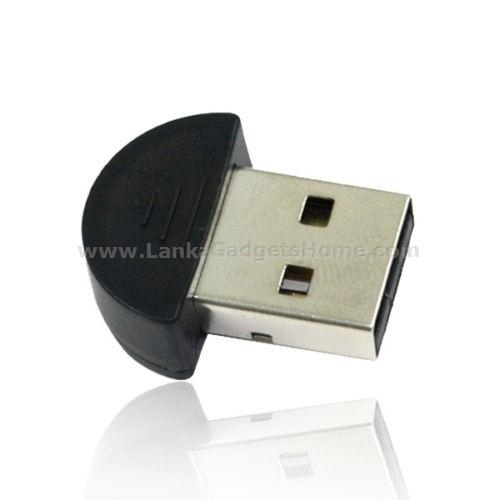 Input Power: DV 5V (USB Power). Operational Range: up to 30m ( 98.4FT.). 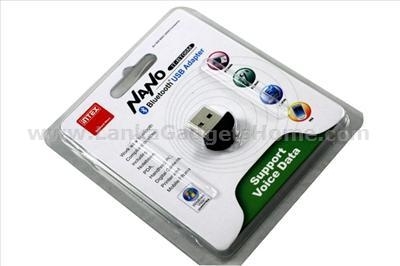 Support OS: Windows 7(32bit)/ 2000/ XP/ Vista. Spread Spectrum: FHSS (Frequency Hopping Spread Spectrum). 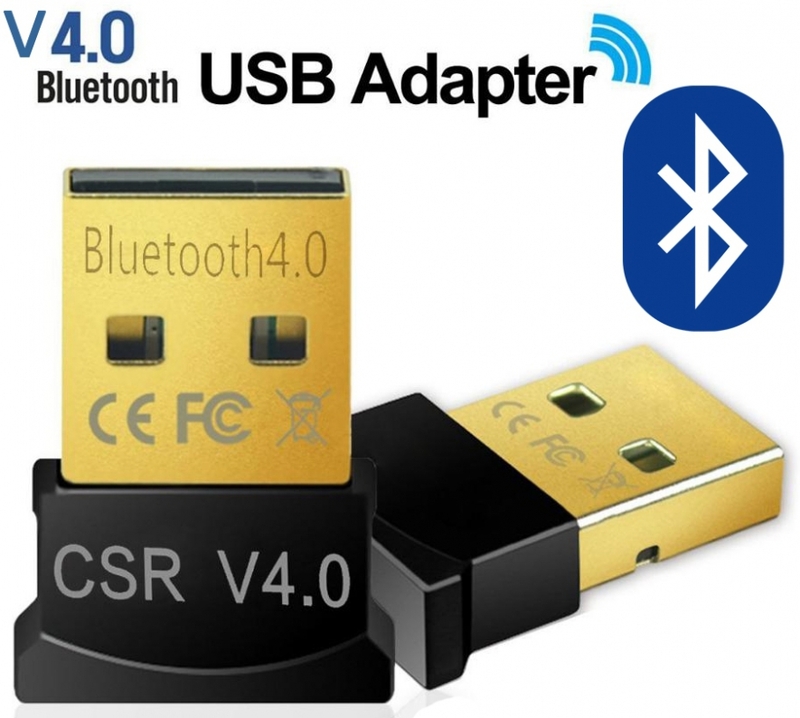 Bluetooth Standard: Bluetooth v2.0 + EDR security mode.